Arkansas 2010. This video is a compilation of 8 days that my son, John Westley, his best friends, Jonathan J. Brad P., Jamie S. and John T. along with Goat Daddy (Scott L.) and myself hunting ducks before Christmas 2010. The film crew were all shooters and callers, multitasking at it's best! Enjoy! Here's another video as we continue to enjoy Arkansas Duck Season 2010........ No music in this one, just callin and killin.... January 1, 2010. John Westley, Brad, Jamie, and Jonathan put together another great video. It was a great 10 days with lots of action and fun! My son John Westley and his friends, Jonathan, Brad, Jamie and John T. all contributed to this video. 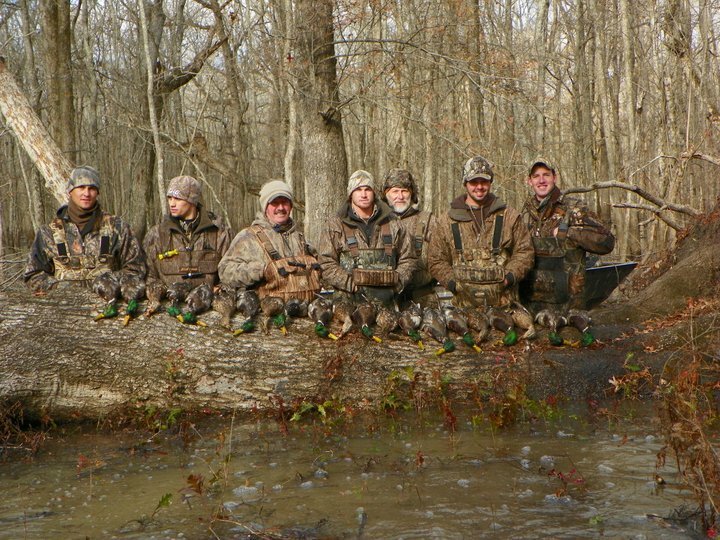 It is compliation of thier 11 days before Christmas 2008 in Arkansas hunting ducks. I am sure we will see more from "the boy's" in the future.